Like to bathe, swim? Enjoy coffee? Tea? Wonder how that water gets to you? Water from Northern California flows South to the Tehachapi Mountains, and is pumped over the mountains by the Edmonston Plant. Edmonston is on a par with other major water facilities such as Hoover Dam. The water is lifted 1900 feet, the highest lift in the world, by a system of pumps, motors and giant pipes. The electric motors for the pumps total more than one million horsepower – for comparison, your car engine Is maybe 200 horsepower. 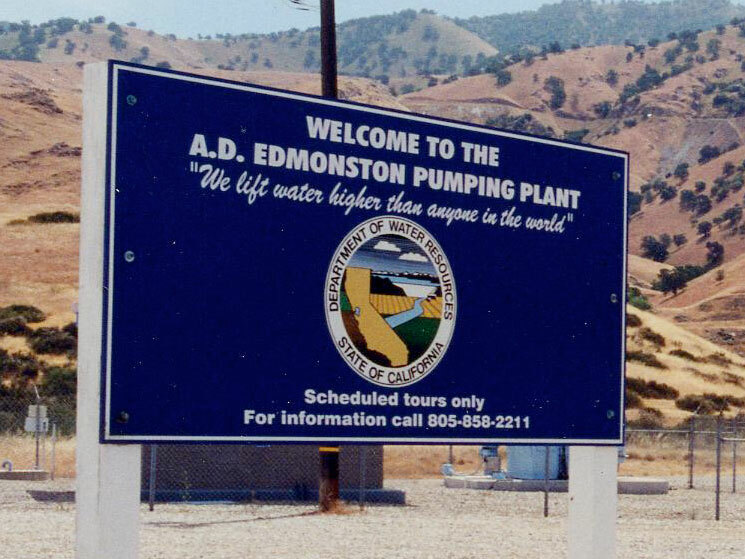 The Princeton Club of Southern California has arranged for us to join a special 'inside' tour of the Edmonston Pumping Plant, which is an important part of the California Water Project that brings water to the faucet in your home. Like most of our water infrastructure this plant is no longer open to visitors; however we shall have a special private inspection trip guided by the Department of Water Resources staff that operates and manages the plant. There is no charge for this trip. There are drinks and snacks on the bus and an interesting group of participants – your Princeton Club, the West Basin and MWD personnel, and probably other people who are active in water. If you have a child with a particular interest in water or who is studying about the environment in school, this trip should prove particularly fascinating! Families are encouraged to attend; the minimum age for this event is 12 years old. We expect this trip to fill up rapidly, so please get your request in early. A registration form and detailed itinerary will be sent to you by West Basin at the end of September. The tour will begin at the Edward C. Little Water Recycling Faciliity with a bus ride North over the Grapevine, and then turns East to Edmonston, about an hour and a half from our start at the West Basin Water Reclamation Plant. We'll have a guide on the bus who will give us background information about Edmonston. This all-day Inspection Trip is sponsored by the Metropolitan Water District of Southern California (MWD) and the West Basin Municipal Water District and includes transportation and meals. Dress Code: Casual attire. CLOSED TOE shoes required. Please note that this is a government installation and proper identification such as current driver's license or passport number and expiration date will be required at the time of registration. Registration limited to the first 30 RSVPs.